Twitter is the latest social network to take action against far-right commentator Alex Jones, temporarily limiting his account after he tweeted a link to a video that violated company policies against abusive behavior. The ban is not extensive. 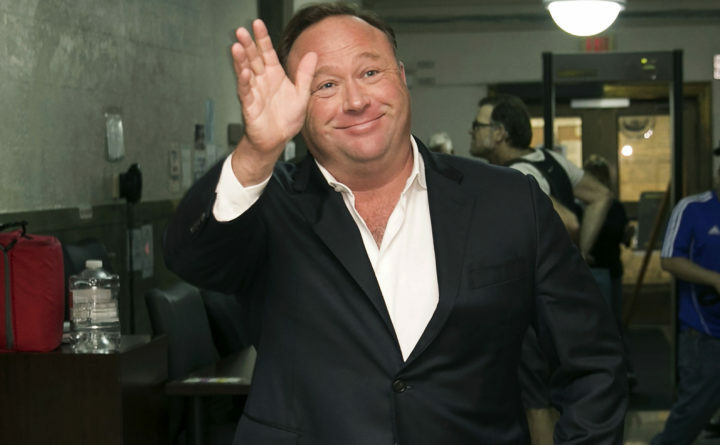 Jones will still be able to browse Twitter and send direct messages to his followers, however, he won’t be able post publicly for seven days. The Twitter account for his show @InfoWars remains active. “On Twitter we’ve been so careful,” he said in a video on the @InfoWars account, adding that Twitter CEO Jack Dorsey is “toying with us” like a cat and a mouse. A Twitter spokesman confirmed the account has limited functionality. “We haven’t suspended the account but are requiring tweets which contained a broadcast in violation of our rules are deleted,” he added in a statement. Dorsey said earlier in August that Jones and his affiliate accounts can continue to use Twitter because they haven’t violated the social-media company’s policies, despite decisions by Facebook and Google’s YouTube to pull the conspiracy theorist off their platforms after concluding that his content violates hate speech and harassment policies.